Study Bachelor of Human Movement, Bachelor of Psychological Science (Counselling and Interpersonal Skills) at the University of South Australia (UniSA). Information for International students. In addition, international students who speak English as a second language must have obtained one of the following standards within the last two years prior to admission. Possession of one or more of these standards, in addition to the academic entry requirements, does not, in itself, guarantee a place at the University of South Australia. Applications are considered on an individual basis and selection is competitive. Where previous study/work experience was conducted in English, the application must be accompanied by certified documentation from the educational institution/employer certifying that the language of instruction/employment was English. 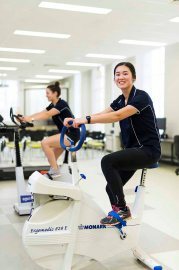 Learn from a University that has well-above world standard research in Human Movement and Sport Science and has been ranked No.1 in South Australia for research in Psychology and Social Work2. Study South Australia’s only double degree in human movement and psychological science. Tailor your degree to your interests through streams in multiple human movement disciplines such as Health and Physical Education. Learn in state-of-the-art on-campus facilities, such as an exercise physiology clinic, environmental chamber, exercise physiology laboratories and a health and fitness centre. 22015 Excellence in Research for Australia. 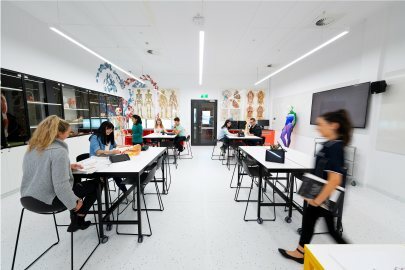 This unique double degree, which is the only one of its type in South Australia, will provide you with expertise in the areas of human movement, psychology, counselling and interpersonal skills. With a strong practical and multi-disciplinary industry focus, you will graduate with a specialised set of skills to meet emerging market needs. The human movement component will allow you to develop a holistic understanding of the impact that exercise and physical activity has on the biological, psychological and social parameters of human life. The psychological science component provides a balance of courses in psychology theory and counselling – for graduates this means you will enter the workforce with a strong understanding of psychology, as well as the analytical, communication and interpersonal skills needed to work with individuals, groups and communities. Practical learning constitutes a large focus of this degree, enhancing the work-readiness of graduates – the value of this study component has been recognised nationally in the form of an award from the Australian Federal Government Office of Teaching and Learning. If you finish your degree with a credit or higher grade point average (GPA) you could also be eligible for the one-year Bachelor of Psychology (Honours). Completion of this honours degree can lead to employment as a practising psychologist (additional requirements must also be met). This unique double degree will provide you with expertise in the areas of human movement and psychological science. You will graduate with a specialised set of skills to meet emerging market needs. The third and fourth years have a strong practical focus and it is during this time that you will develop influencing skills and intervention strategies, gain knowledge of psychological disorders, and study the relationship between psychology and physical activity. 2. Students must have a 'Provide First Aid Certificate', Cardiopulmonary Resuscitation Certificate (CPR) and Child Safe Environments training certificate, prior to the commencement of any field placement. 1. This course is Specialist Psychology Course 1. 2. Students planning to undertake Honours in Psychology, either at UniSA or at another Australian university, must take and successfully complete the following Specialist Psychology Course: Advanced Research Methods. Those planning to undertake Honours in Psychology at UniSA must also complete the following Specialist Psychology Course: Psychological Assessment. This double degree enables you to graduate with two qualifications with only one extra year of study. In the first year you will complete a work placement, which will offer industry exposure from the very beginning. You will also learn from industry experts and award-winning researchers. Our on-campus facilities are extensive and are a great way to develop practical skills and explore and experience the hands-on nature of this growing industry. Our extensive industry relationships will also be of value, and you will have access to industry partners and alliances from a range of elite and local sporting organisations. As the health, wellbeing and nutrition industries continue to grow, employment prospects for graduates of this degree are promising. With further study, this double degree can be a pathway into secondary school teaching or psychology. As a graduate of the Health and Physical Education stream within this double degree, you’ll be eligible to apply for the Master of Teaching (Secondary). For more information including subjects you'll be able to teach, visit our secondary health and physical education teaching page. The Bachelor of Psychology (Honours) degree is the entry path to become a professionally practicing or research psychologist. You must finish your degree with a credit or higher grade point average (GPA) to be eligible for honours. You will then need to complete a two-year Master of Psychology (Clinical) or PhD in Psychology. As Program Director since 2013 I head a group of outstanding teachers and researchers that educate highly capable graduates who are engaged with industry and can contribute to a healthier society. Many health related industries need joint expertise in human movement and psychological science, which is why we designed a double degree.